New drinks for a new year! Bartenders around the globe are showing off their artistic talents by taking the classic drinks we all know and love, and surprising us with new creative twists. 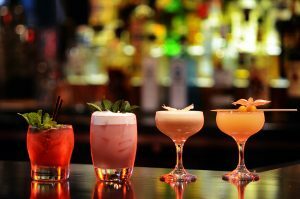 Top cocktails of 2018 show rich flavors and fresh ingredients are high on the list this year for what is trending in cocktails. As people have more and more access to information about ingredients and recipes, it comes as no surprise that people are requesting off-the-menu specialties. Some bartenders are seeing this as an opportunity to expand their knowledge and are even finding ways to put their own signature twist on these crafty concoctions. Gin is making a big name in both the new world and the old. Consumers are looking for new and fresh, but also want a taste of the past. The top cocktails of 2018 are bringing us a glimpse of the old and the new infused together in both drinks and environment. Cinema cocktails may become more popular as more theaters now have dine-in and full service bars. Movie-themed drinks can influence our palates and there are even drink and movie pairings for movie lovers everywhere. Brian Van Flandern recently partnered with Moet & Chandon to develop a series of cocktails inspired by the movie The Greatest Showman. These drinks offer a taste that will transport you in time while paying tribute to the film. Lower alcohol content drinks are likely to make a big splash. Wine and champagne based cocktails are better for drinking with meals, making these popular options for restaurant dining. Mocktails are gaining popularity as many millennials are opting out of drinking these days. These recipes are great to have on hand for those non-drinking buddies and designated drivers. The top cocktails of 2018 are sure to inspire creativity! 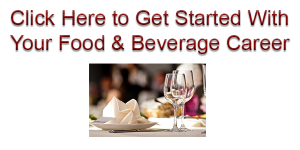 Are you looking to expand your skills as a bartender or server? Find the course that is right for you. So, You Want To Be a Bartender? Now What?